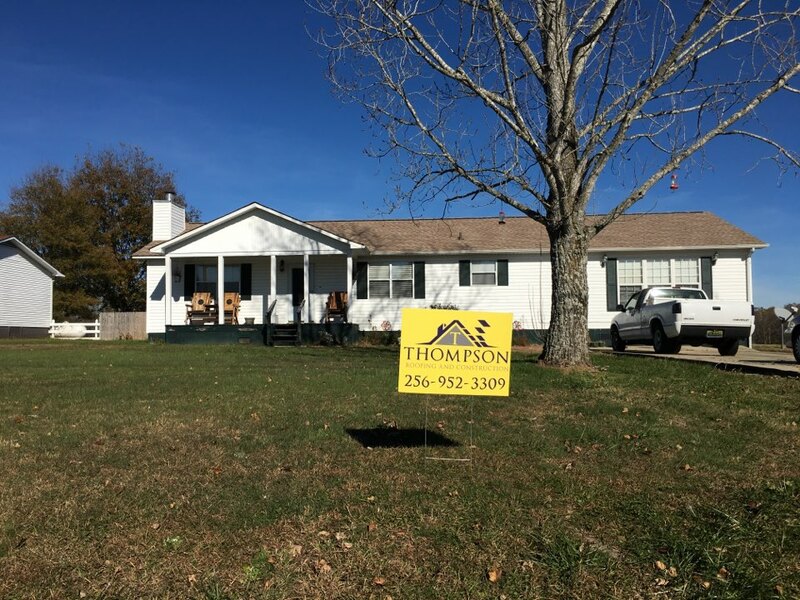 Since 2008, Thompson Roofing & Construction has been the Tennessee Valley’s trusted provider of affordable construction and roofing solutions. 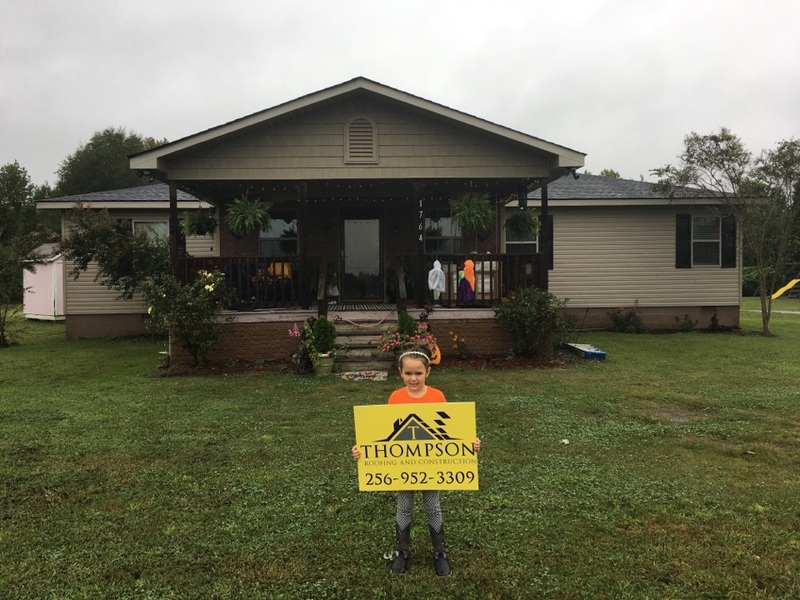 We are a family business owned and operated by proud Alabama locals, which motivates us to provide only the best products, services, and value to the communities we serve. We use quality materials backed by industry-leading warranties from top manufacturers. And thanks to our strong partnerships with brands like GAF®, Owens Corning®, and CertainTeed, our expert crew has access to exclusive factory training that keeps us updated on products and services in the roofing and construction industry. We also have a reputation for emphasizing quality and customer satisfaction above all else. This commitment to genuine service and superior work practices earned us the prestigious 2015 Best of HomeAdvisor Award and an A+ rating from the Better Business Bureau. But perhaps the best vote of confidence we’ve received is the high rate of referrals and repeat business sent our way by happy clients. We look forward to adding you to our rapidly growing family of satisfied customers! 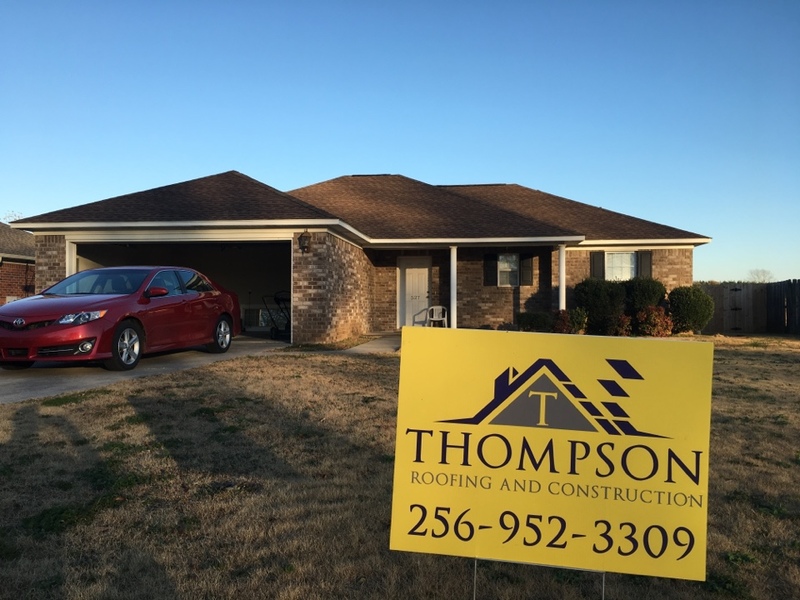 Call Thompson Roofing & Construction at (256) 952-3309 or use the contact form on the right side of the website for service inquiries and more. Our office is open 7 days a week from 7 AM to 7 PM. We offer free roof inspections, no-obligation estimates, and competitive pricing. Affordable financing options are also available through GreenSky®. Love our roof!!!! 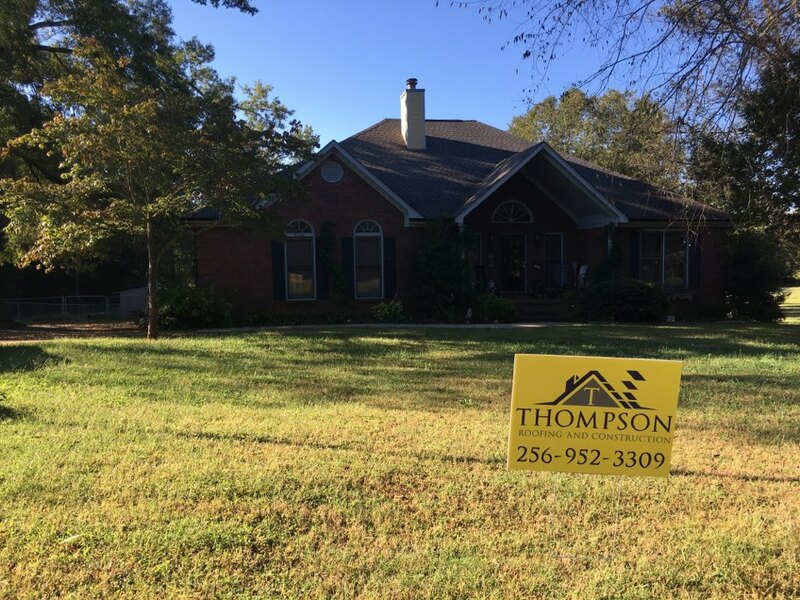 Thompson Roofing really came through for us and worked with us financially. Adam was always happy and positive attitude as well. I highly recommend you check these guys out when it comes to roofing and construction. Wonderful company to work with. Nothing but a pleasant experience. 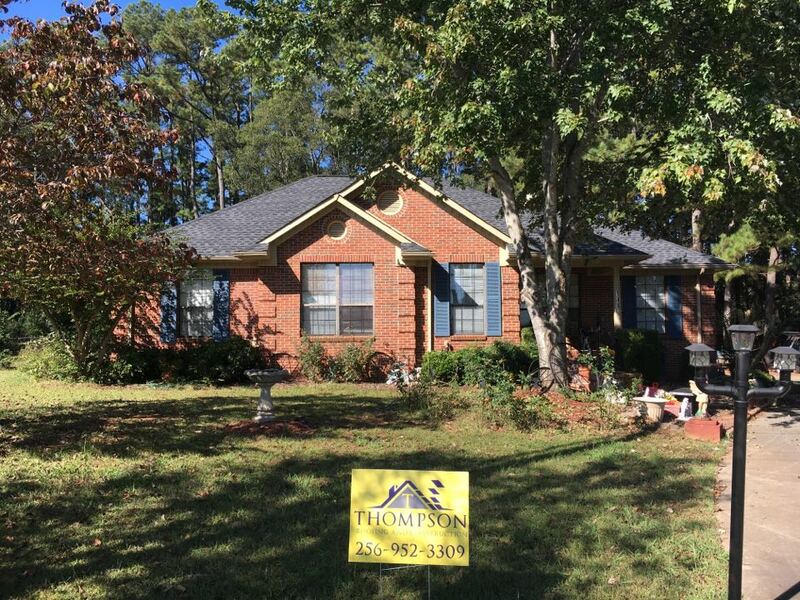 Thompson Roofing and USAA found a roof in need. 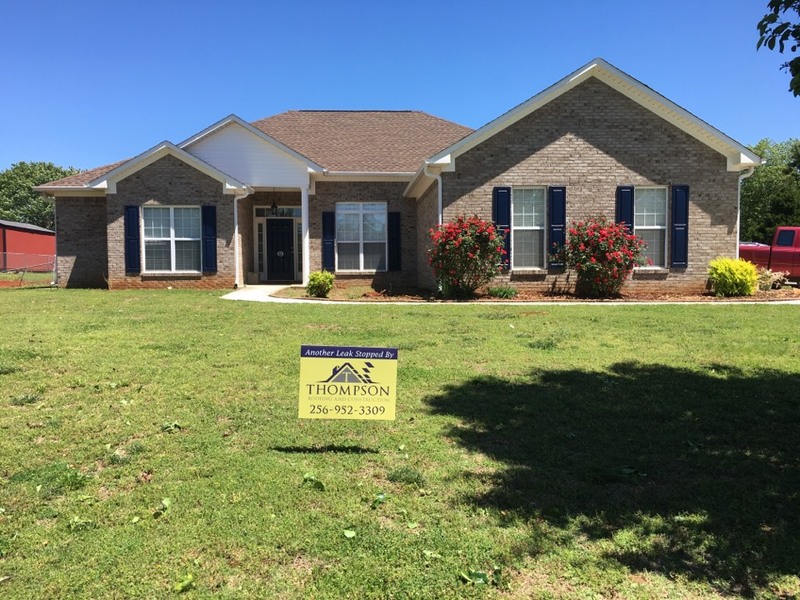 After installation of GAF Timberline HD color Weathered Wood, we found a happy customer. Found a wind damaged roof. After installing our Advanced Roof System we found a happy customer! Found a wind damaged roof but after installing an Advanced Roof System we found a happy customer! 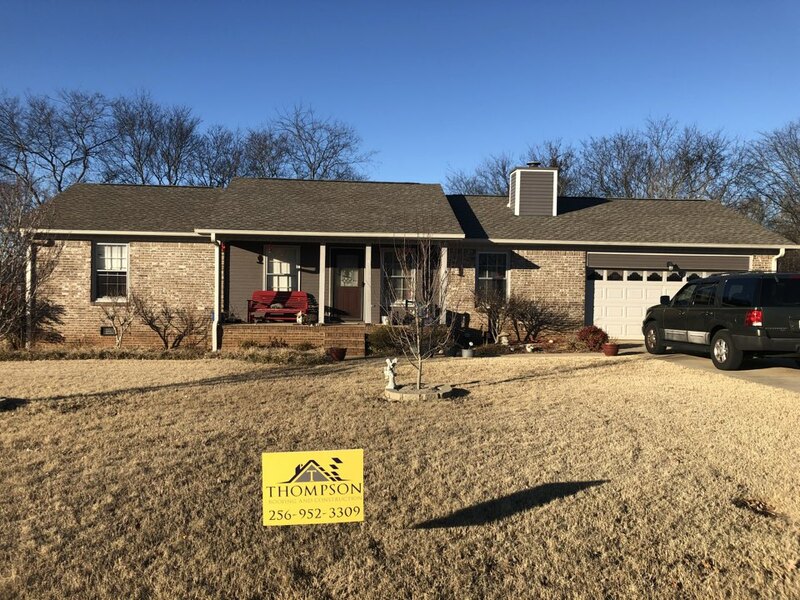 Our customer in the Hazel Green area had hail damage to his 3-tab shingles which we upgraded at no expense to the homeowner. 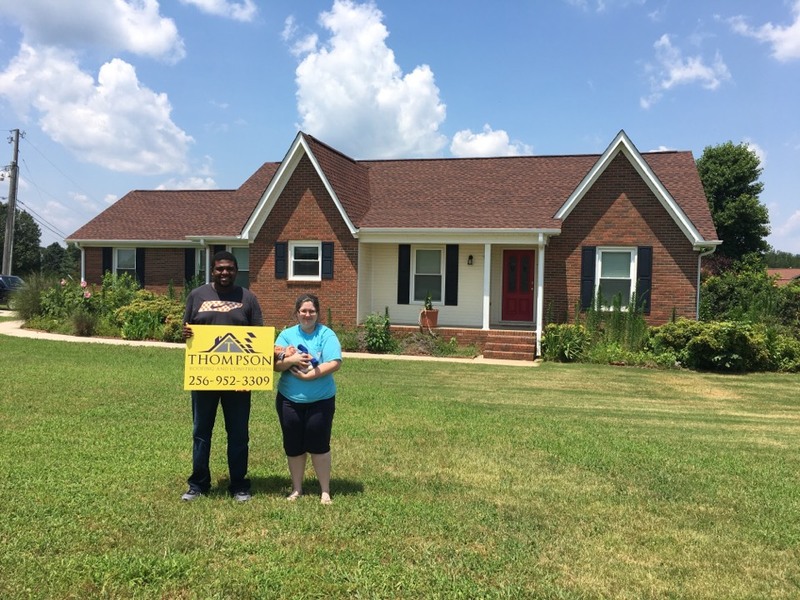 He decided to go with GAF Timberline HD Charcoal shingles. We also removed and replaced his gutters and added gutter guards. Installed new gutters and found a happy customer. Hail damage was found and full roof replacement was needed. We were glad to see another happy customer with this GAF roofing system.